Take control of your website with latest content management system. The growing popularity of Content Management Systems (CMS) has now made custom designing far more easy and stylish.It has not only worked on the website’s look but has also made its management easy.After considering all these features, CMS development services has become an essential part of almost every web development company of India.Working on a CMS platform enables you to make real-time modifications from any web-enabled device. At Prometteur solutions, our development team can efficiently handle the creation and management of an array of CMS platforms, including WordPress, Joomla, Drupal.We are a well-known CMS Development services company in India that offers comprehensive services for different website niches and categories. We will provide you with the most alluring themes which are stylish and can be customised whenever you feel like. Now you can get your favourite colours and fonts filled in as per your desires. You can enjoy multi-user accessibility on your website for complete control of user-role management.This means different people can work on it at the same time, starting from writing, editing, coding to designing.We will offer you the plug-ins and modifications that will bring more functions along with thousands of add-on scripts.We will add an editor for your website that will allow you to make quick changes whenever you want and that too in a well-organized way. 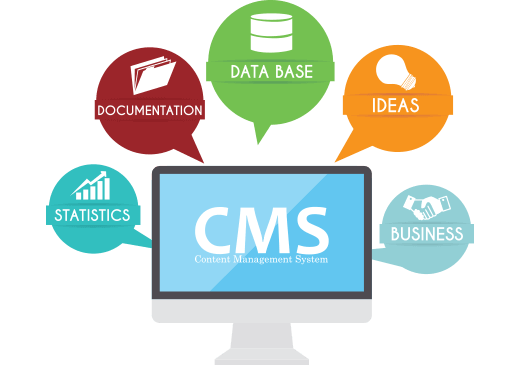 With so many value-added features, our CMS development services are the best one to go with. So just get yourself under the right content management system! When it’s about choosing the best WordPress website development Services in India, Prometteur Solutions is the right platform to start with. WordPress is not only a popular blogging system on the web, but it is that powerful content management system which forms the basis of almost 22.7% of website development processes. Offering its users with unlimited themes and array of plugins, this CMS excellently alters the look and functionality of the websites.It’s multi-user and a multi-blogging feature have completely revolutionized the whole scenario. Joomla, another content management platform that is gaining popularity day by day. It has not only made website management easy but far more interesting. Now you can build your own websites and can create many powerful online applications.With thousands of extensions available, Joomla is highly extensible and extends its feature-rich functionality into website development, web portals and applications. You can rest assured of all the above characteristics and can enhance your online presence effectively. Listed amongst powerful content management platforms,Drupal is known for its vivid functionality, which allows users to easily publish, manage and organize various content types throughout their websites. All thanks to its modular architecture and open source nature that large community of developers is regularly introducing new modules and functionalities.The open Source CMS is one of the first in its line of PHP driven platforms. According to Wikipedia,Drupal still powers more than 105,000 of websites despite numerous options surfacing with rising technology.